However the local parliament stopped an already ongoing daylighting project in 2009 after the local press heavily campaigned for this stop. Many citizens of Darmstadt, however, did not accept the funeral of a living river. They never stopped to argue to bring this project back to life. As also for me water is the essence of life and water conservancy therefore is one of our most important subjects, I became part of this fight against ignorance and neglect. There has been also the argument that there is no legal impact of not realizing this project. 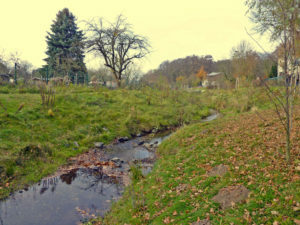 Even the supporters were accused that they would spread lies regarding a legal need to daylight and to improve the ecological status of this stream. A recent legal opinion, worked out on this subject, clearly shows that such accusations are devoid of any legal foundation.